We are back at school and I’m having a blast kicking off visits to the library with my middle school classes using the GooseChase App for library orientation. 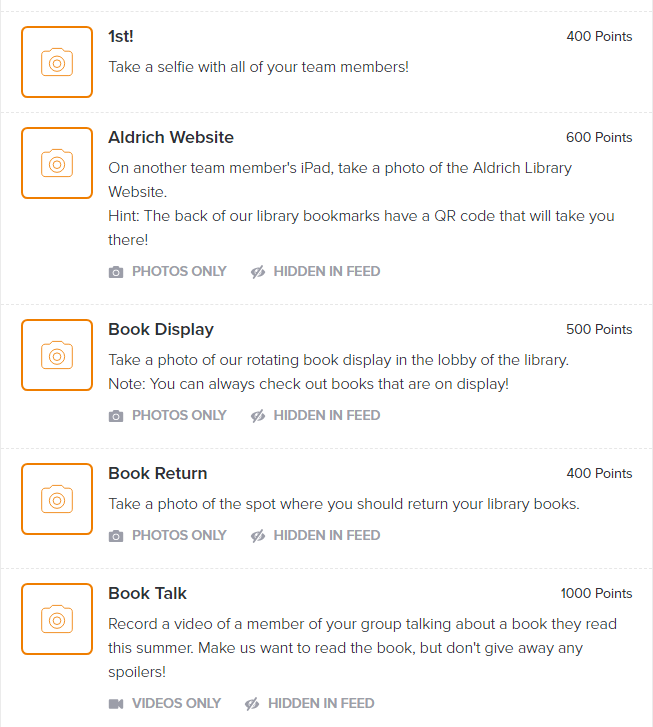 GooseChase allows you to organize and run scavenger hunts in which teams must document the completion of a series of tasks, or missions. 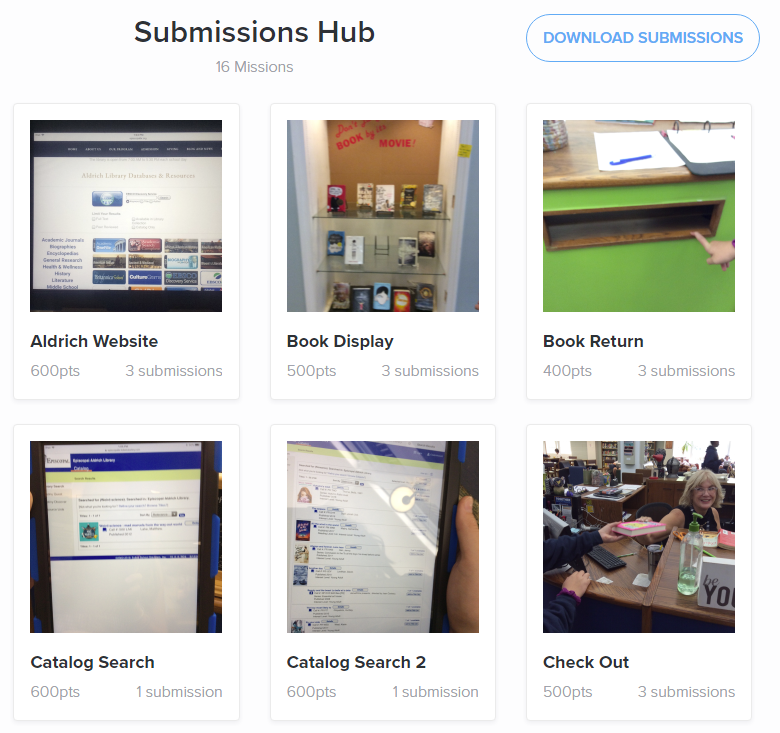 You can require submissions that are text, photo, or video. They have a Game Library where you can find some initial inspiration and think about how to best structure your game. Since nearly all of my 7th and 8th graders are returning students, I can get through this pretty quickly. Of course I will take a little more time with my new 6th graders. You can check out my entire game and even make a copy of it here. I created way more “missions” than I knew my students would be able to complete during the given time. I also instructed them to NOT complete them in order, so we wouldn’t have too many traffic pile-ups. I’m looking forward to using this with the rest of my classes this week as my middle school students are welcomed back into our library. I know we say this every year…but GEEZ, this year has FLOWN by! I cannot believe we just have one week left of this school year. As I look back on this year, it has been so great and I have many things to be thankful for. I’m going to write a post soon about how WOW! 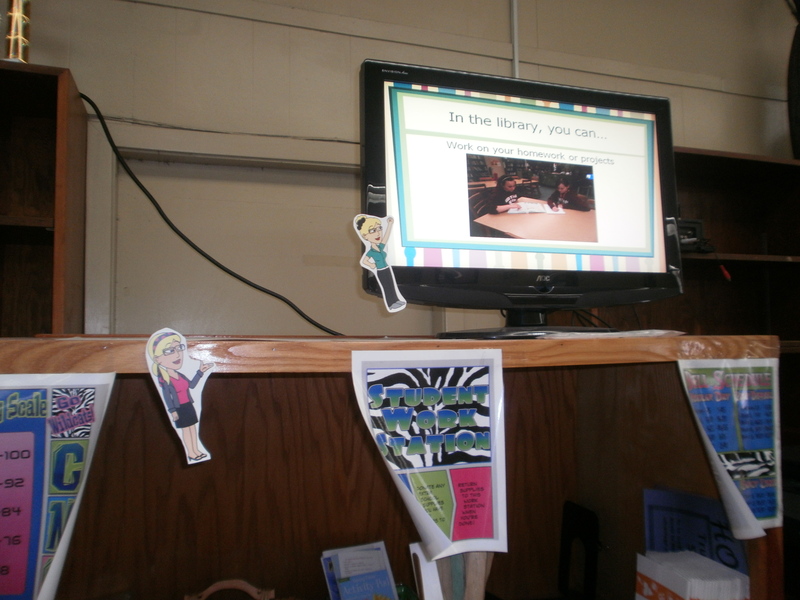 this year has been for me professionally, but first I want to share about some great things that happened in the library as I wrap up this school year. Just last March I was pondering self check-out. Moving to a self check-in and check-out was one of the best things I did this year. I honestly don’t know how I pulled it all off before self check-out. I feel like I have been freed from the cord that tied me to the circulation desk, and life will never be the same! I decided to create two separate stations: one near the door for self check-in and one at the circulation desk for self check-out. I made some minor tweaks throughout the school year, and I’m quite content with the way things work now. 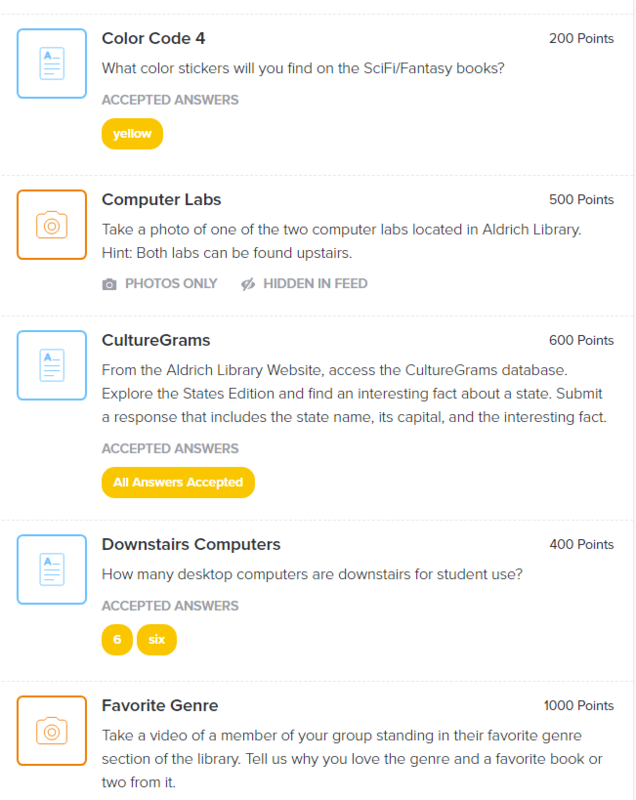 So each station has a unique Destiny login that ONLY allows students to check-in OR check-out. The check-in station is seen above. I’ve set them both up with laptops, because that’s what I had available. Students must have their IDs to check out — they can’t just type their names in (this keeps their information secure). I’ve covered up the keyboard so they can’t even try to type in their names or numbers. I also have the “reset” barcode at each station. Teaching procedure was key for this — they KNOW that they MUST reset before they walk away from the computer. To check in, they just scan the book barcode, watch the screen for their name, and then reset before they walk away. To check out, they scan their ID, check their accounts for any books still checked out, scan the book, check the screen to make sure it registers, then reset. For me, one of the most important things that makes this work is the sounds that go each time something is scanned. Even when I’m not looking, I know the sequence of sounds that should go off when students check books in and out, and when something doesn’t “sound right” I’m able to help them take care of whatever issue it may be. The students said this is something they enjoyed and that we should definitely do this again…SUCCESS! 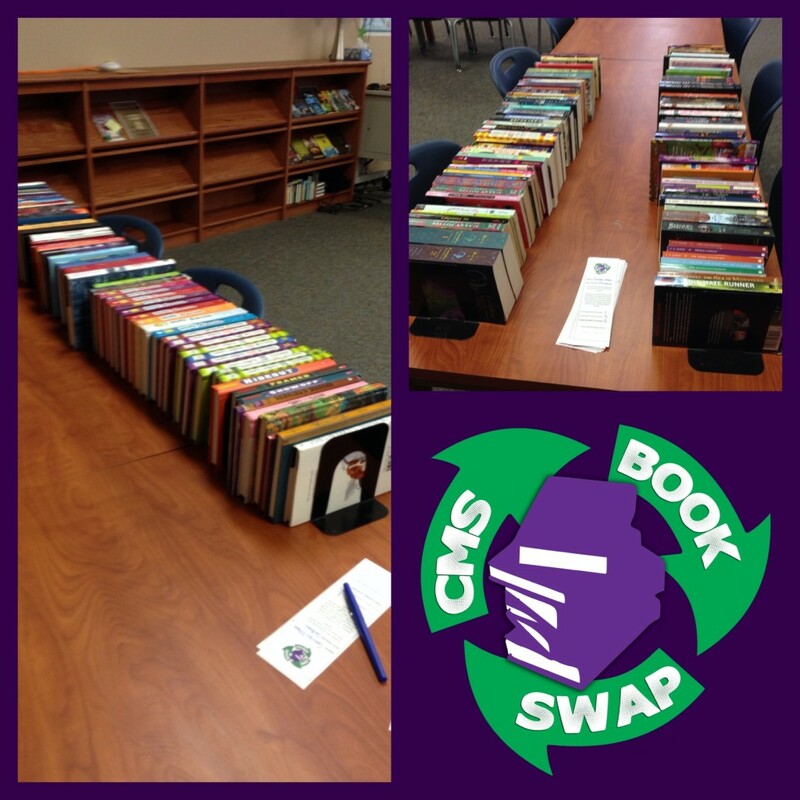 I never posted the results of our March Madness at CMS…oops! We had a lot of fun with this as well, and it was another pretty easy thing to pull off. I used a Google Form for voting each week. I was very excited to see the number of votes increase as the weeks progressed. I was also beyond to see one of the books on our state book award list, The Fourth Stall, end up in the final round! 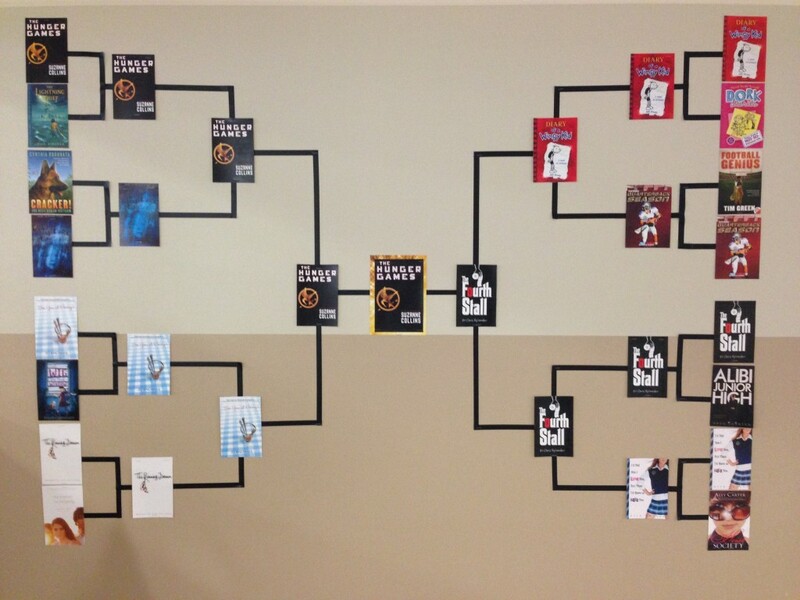 In the end, The Hunger Games was the winner, but all of the books in the bracket stayed checked out through the end of the year! The end of the school year is always a stressful and hectic time (kind of like the beginning of the year, now that I think about it…), but the anticipation of summer and the reflection on a year well done makes it all worth it! Before the holiday break, my awesome principal recommended that all of the teachers take some time and have their students complete anonymous surveys to provide feedback on their class (questions ranged from teaching, relationships, classroom environment, respect, etc.). Being the great leader that he is, he lead by example and asked all of his teachers and staff complete similar surveys on him, giving feedback on our perceptions of the job he’s doing as an administrator. I was very interested to not only see the overall results, but also to break them down by grade level. I was really happy with the results of the survey. It’s nice to know that the kids think I’m doing some things right! 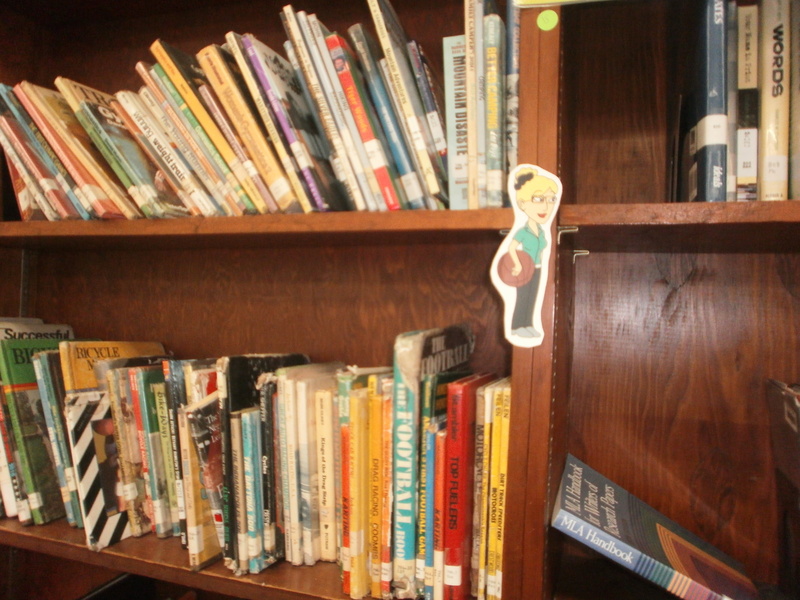 The students overwhelmingly feel like the library is a comfortable and welcoming place, and that I’m approachable and helpful — these are things that I work really hard to develop in the culture of our library. Over the last several years, I have worked with my ELA teachers to find a schedule that works best for them. I know that many librarians feel very strongly about having a completely flexible schedule. I feel very strongly, though, about seeing and reaching every student in my school on a regular basis. So I have created a flex/fixed schedule that seems to be working well. I see 6th and 7th grade ELA classes every other week, and 8th grade every three weeks. But for almost 30% of the 8th graders, they aren’t able to visit frequently enough. Overall, though, this is a confirming thing for me in that I see how many of my students wouldn’t be visiting the library if I didn’t schedule time regularly with their ELA teachers…so this seems to be working out pretty well. 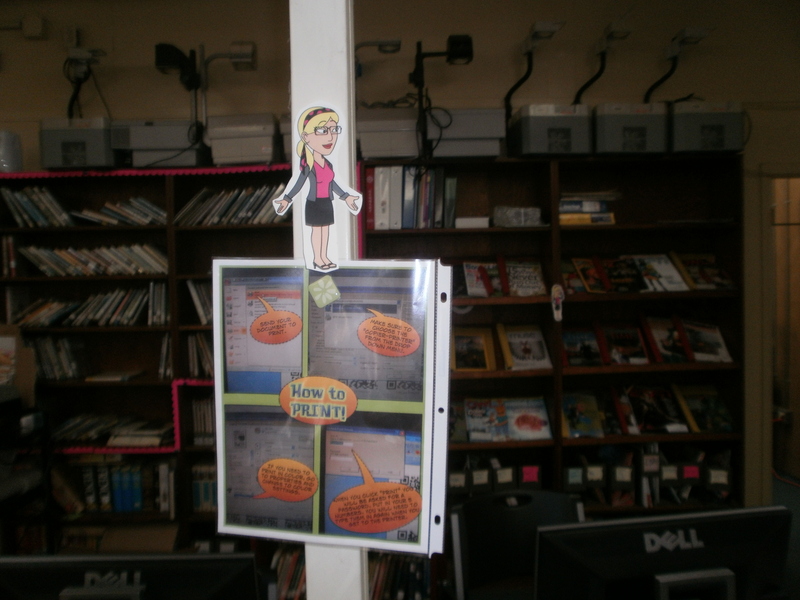 I wasn’t shocked by the results that show that most of our students don’t use our library catalog. The reasons for this, I believe, are: (1) genrefication makes browsing so much easier that students use the catalog less; (2) they ask me where a particular book is and I can tell them off the top of my head where it is since I know the collection so well; (3) I don’t spend much time teaching them to use the catalog, since I feel my time is better spent teaching other things. I’m going to continue to ponder on this point. The results that most pleasantly surprised me: “Do you feel the lessons and activities during class library visits are helpful/informative?” Students had very positive feelings about the activities that we’ve done (from search strategies to digital citizenship activities to book speed dating), and they even left some positive feedback about this in the open ended questions. I knew that the results to the genrefication questions were going to be extremely positive, but I’m very excited to have some numbers from this survey to be able to share on this topic! 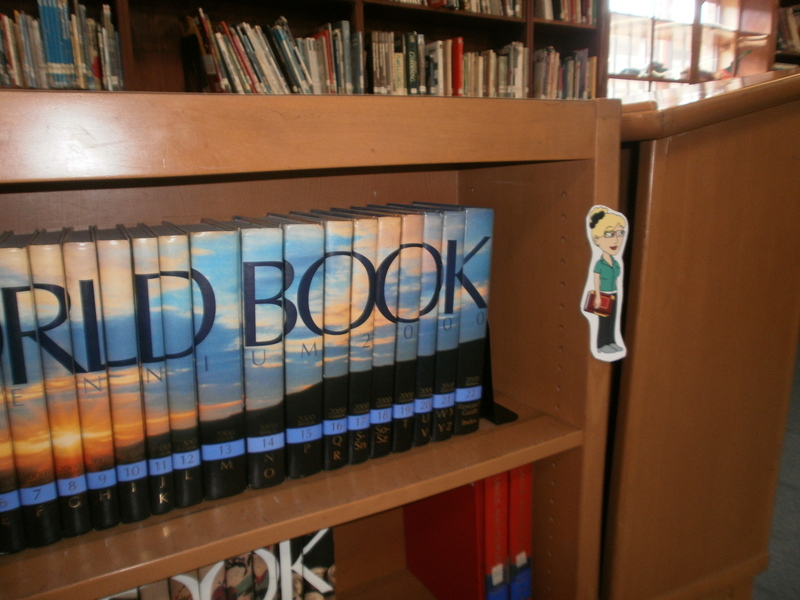 Our students love the organization of our library, and in the open ended questions many raved about this as well. The open ended questions were by far my favorite. Although it takes a lot to go through hundreds of responses, there were some real gems in there! For the results shared above, I picked out some of the most frequently given or nicely put responses. Giving this survey and spending time with the results has been a really powerful experience for me. Not only was it a way for me to evaluate my practice, but it was also a really great way to empower students and give them a voice. If you would like to make/save yourself a copy of the Form that I created, click here. I’ve been interested in the idea of implementing a self-checkout system for the students for quite some time. 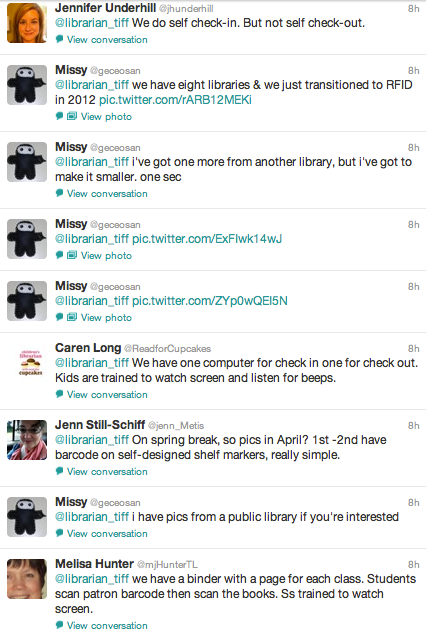 I know there are lots of elementary librarians who do this very successfully. It’s definitely something that is born out of the necessity of getting away from the circulation desk. 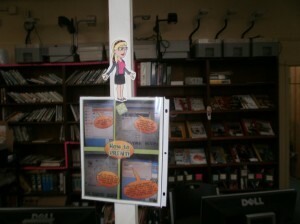 As the only staff member in the library, I often feel like I am tied to the library and to the desk. 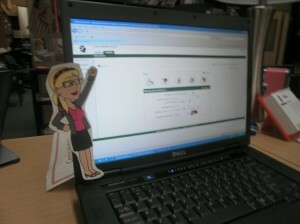 I have awesome volunteers and student helpers that make it less painful, but I’m still tied to the desk to some degree. Everything about the idea of self-checkout appeals to me, except having to set it up, get the procedure in place, and train the students. 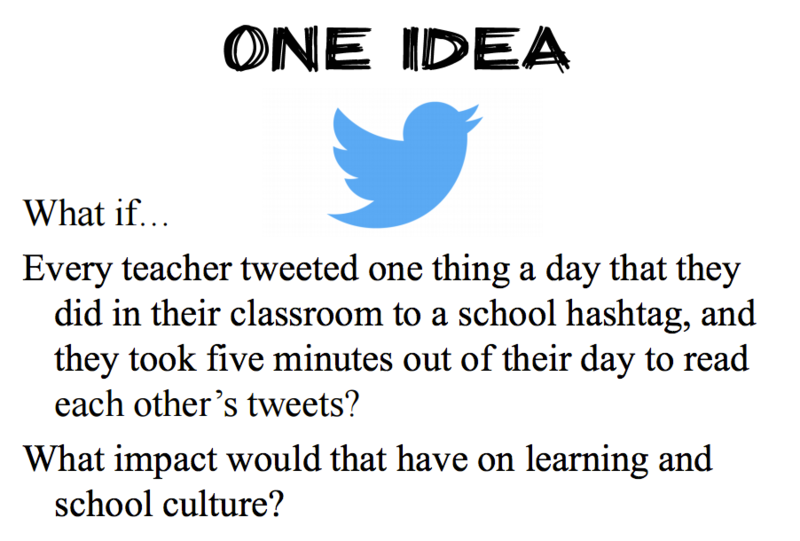 As I’ve started to start to seriously consider this idea, the first place I go for some honest feedback is my fabulous PLN. 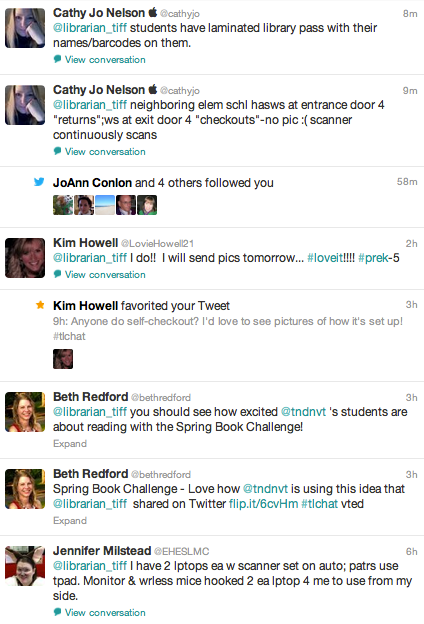 Anyone who questions the power of Twitter just needs to see an example like this to see how mind-blowing it is to be able to tap into the resources available from so many awesome library friends! Thanks to everyone who responded with suggestions, ideas, and photos of how they’re making self-checkout work for them! What set-up of PC/monitor/laptop/netbook/scanner/mouse/keyboard/etc. will work best for us? This one is leaving me scratching my head since I don’t want a cluttered looking space. Not wanting to spend a ton of money on this for now. What about using an iPod touch or iPad and the Destiny app? BUT it doesn’t have sound, and I associate sound with check-in/check-out…as irrational as that may be. Do I need to set up two stations? One for checking in and one for checking out? Where am I going to put all of this stuff? 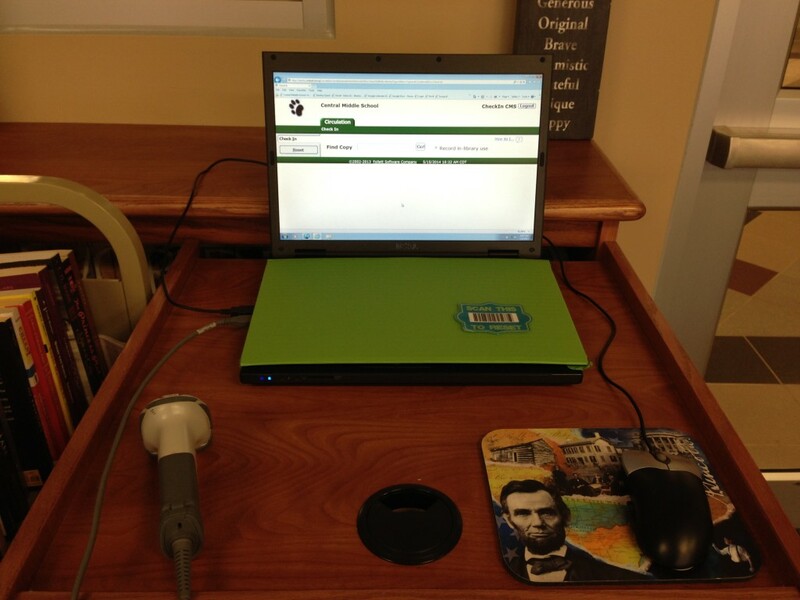 The layout of my circulation desk is…not conducive to, well, any of this. What am I missing here? What do I need to think about/ponder more? I’m feeling guilty for being a blog slacker, but it’s been crazy with state testing and finishing this semester of grad school.